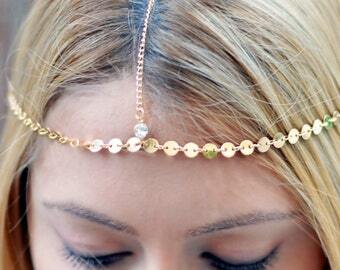 New gold coin hair chain for sale! 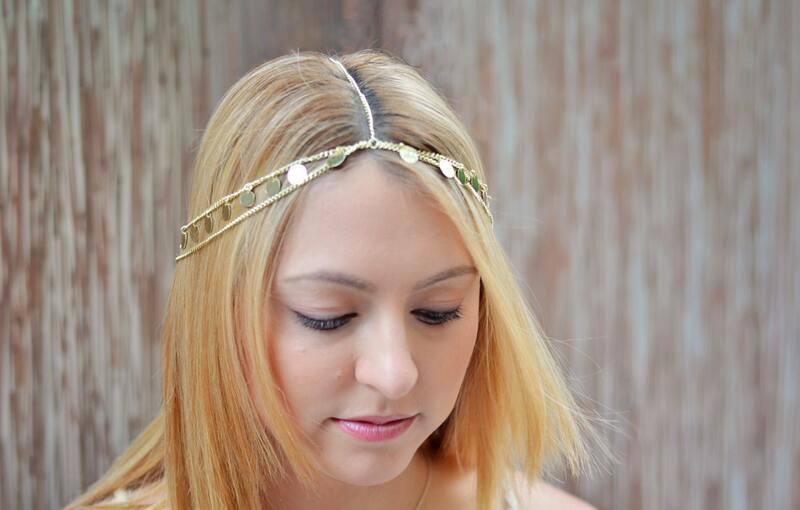 This wonderful jewelry headpiece is made out of a nickel free alloy metal. 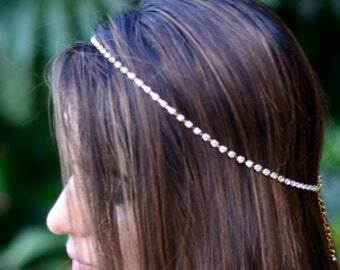 One size will fit all and you can tighten it in the back. 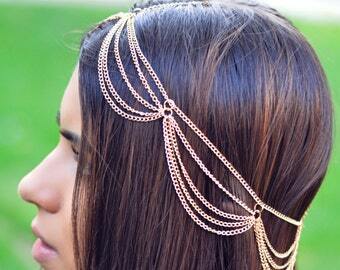 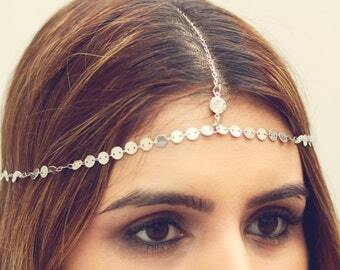 This jewelry headpiece will make you look fabulous at any event or special occasion!